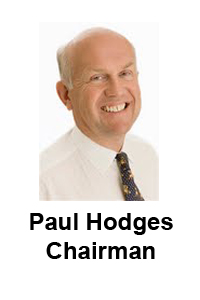 Paul Hodges is a trusted adviser to major companies and investors, and serves as a Global Expert with the World Economic Forum. Paul is a popular speaker at international conferences, and writes regularly for the Financial Times and other leading media. He has been widely recognised for his pioneering work in identifying the impact of ageing BabyBoomers on the economy, and for his foresight in warning of the 2008 financial crisis..
Paul is also non-executive Chairman of NiTech Solutions and Chairman of ReadyforBrexit. 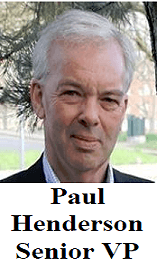 Prior to launching IeC in 2001, Paul worked in senior positions for Imperial Chemical Industries (ICI) in the UK and USA, and was Executive Director of a $1 billion ICI business. He is a Member of the Energy Institute and a Freeman of the City of London. He is a graduate of the University of York, and studied with the IMD business school in Switzerland. Client training. He heads an experienced team of training consultants, who work with individual client companies to customise programmes to meet their specific needs. His aim is to give participants the opportunity to leverage more value from the chemical industry on behalf of their company. Conferences. He chairs a number of international Conferences, including the annual World Aromatics & Derivatives Conferences, jointly organised with ICIS. Previously, John spent 35 years with Shell Chemicals in the UK, The Netherlands and Germany. He held senior management positions in the base chemicals, polyurethane and solvents businesses. This gave him considerable commercial and international experience of product and general business management within the chemical industry. 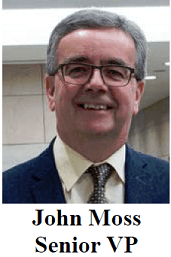 John has served on a number of industry bodies, including a period as Vice President of the CEFIC Aromatics steering group and on the CEFIC styrene group. John Lawrence is widely recognized in the chemical Industry as a leader in purchasing excellence. Prior to joining IeC, John had over 30 years experience in DuPont in Europe, USA and Asia, where he held senior positions in marketing, manufacturing, Business Management and Trading. His last position in DuPont, was in the management of DuPont’s Global Purchasing Function, where he led a team responsible for an over $1.5bn raw materials portfolio. He has extensive M&A experience, particularly in due diligence and the on-going contractual relationships with the seller. His most recent experience has been in leading the restructuring of the purchasing function in a major privately owned chemical company in Europe and USA. John holds a PhD in polymer chemistry and studied Finance at INSEAD in France. 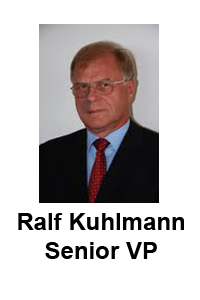 Ralf Kuhlmann focuses on management and M&A support, as well as on the key area of operational and management integration. He was previously Business Director, Basic Chemicals with ExxonMobil, where he was responsible for Marketing & Sales, Planning, Feedstocks, and Supply Chain optimisation, for the European business. Ralf also represented ExxonMobil on a number of industry bodies, and was President of the Association of Petrochemical Producers in Europe (APPE), as well as being a Member of CEFIC’s Energy, HS&E and Logistics Program Council, and an EPCA Board Member. He is an adviser to German industry associations. 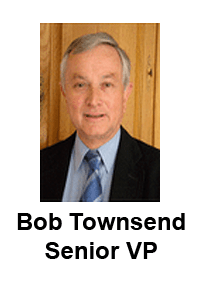 Bob Townsend specialises in the lower olefins, principally ethylene and propylene, and in polyolefin plastics. Previously, Bob worked for Shell Chemicals, covering a range of commercial roles in basic petrochemicals and polyolefins, including as Business Manager, Lower Olefins, for Shell Chemicals Europe. He played a fundamental role in the consolidation of Shell Chemicals basic chemicals business during the severe recession of the early 90’s, and led the negotiations with Himont on monomer issues that led to the formation of Montell. He also has considerable global experience, having worked for 5 years in the Middle East, and for 3 years in Asia. 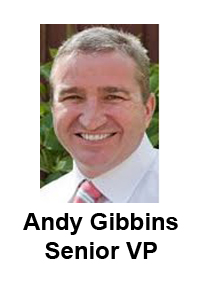 Andy Gibbins has extensive experience in manufacturing within the chemical and process industries. He has successfully managed a wide range of projects including contract negotiations, cost/productivity optimisation studies, union agreements, organisational redesigns, waste reduction programmes, the development/implementation of performance incentive schemes, and site closure projects. In addition, he has advised ‘deal teams’ on technology, manufacturing and process issues. Previously Andy was a Site Manager for NOVA Innovene in the UK and France. Before this, he worked in a variety of technical and manufacturing roles for Shell Chemicals from 1986 – 1999. Andy is a Chemical Engineer, and is a chartered member of the Institution of Chemical Engineers. He is a fluent French speaker. George Smith is also a director of ReadyforBrexit and has over 30 years’ experience in the oil, gas and chemical industry with BP and BOC. Since leaving BP in 2008 he has undertaken a number of consulting projects covering NGL’s, refining and chemicals advising on strategy, M&A and investment opportunities. He is a Chartered Chemical Engineer and a Fellow of the Institute of Chemical Engineers UK. John Moss has many years experience in commercial/business management in the specialty chemicals and polymers industry. His main focus is on helping companies to gain new business in Europe & Asia, and in designing/implementing effective innovation programmes. He is also a director of ReadyforBrexit. He is retained by the UK government’s Department of International Trade to advise on foreign direct investment, outward direct investment and trade. Previously, John was CEO of a UK-based SME, and before this held senior positions with Synthomer and ICI. He is a Chartered Chemical Engineer and is fluent in Dutch and German. Paul Henderson is also a director of ReadyforBrexit. He was previously Director, Strategic Accounts with Univar, and specialises in the distribution and logistics sectors. He has a proven record of achieving significant performance improvement in a wide range of businesses. He is based in Switzerland and is fluent in French, German and Spanish – and proficient in Italian – in addition to English. 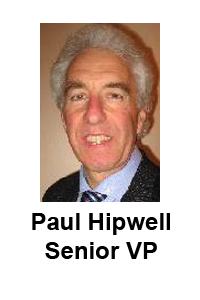 Paul Hipwell is a chemical engineer, with extensive experience in the chemical and water industries. He specialises in the optimisation of production assets and processes, to improve efficiency and reduce costs. He is also an expert in the successful introduction and commercialisation of innovative new technology, including award-winning membrane technology for chloralkali production. Paul has a strong focus on market research, customer satisfaction and business development, on behalf of water utilities and international engineering consultancies.Previously, he spent 20 years working in a variety of production and business management roles with ICI.